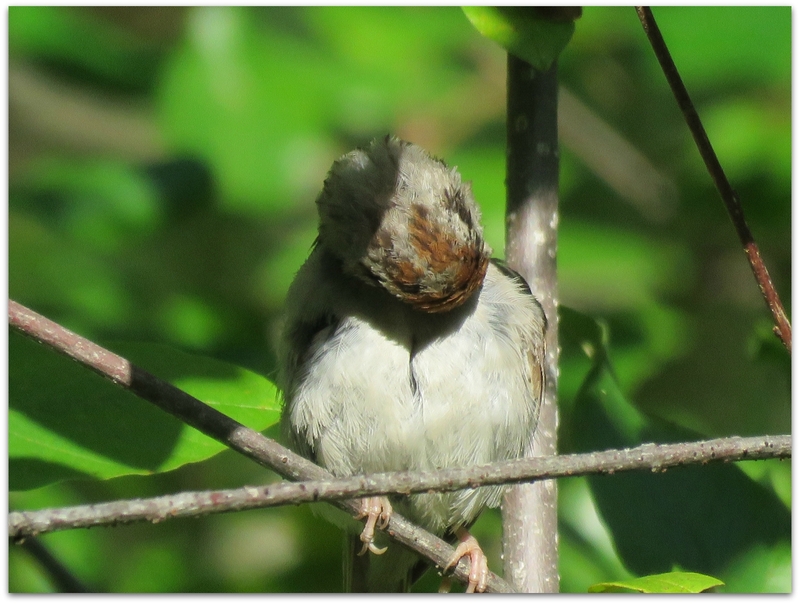 I think this itchy little bird is getting some new feathers. 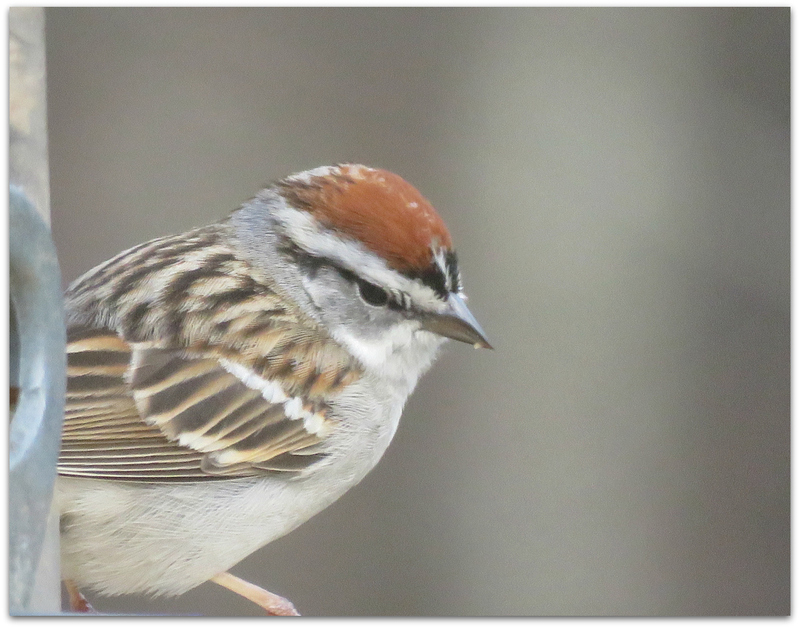 This entry was posted in Uncategorized and tagged Chipping Sparrow on September 15, 2015 by Amy. 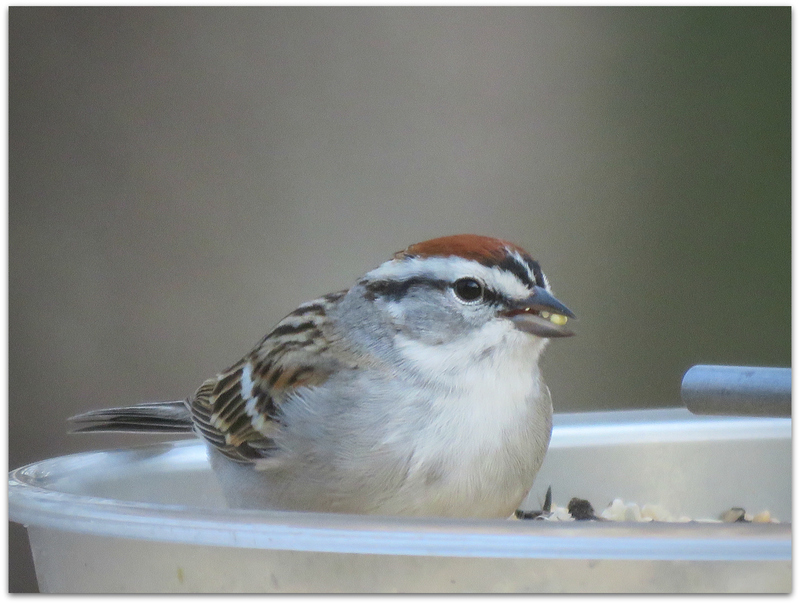 Chipping Sparrow at the feeder. 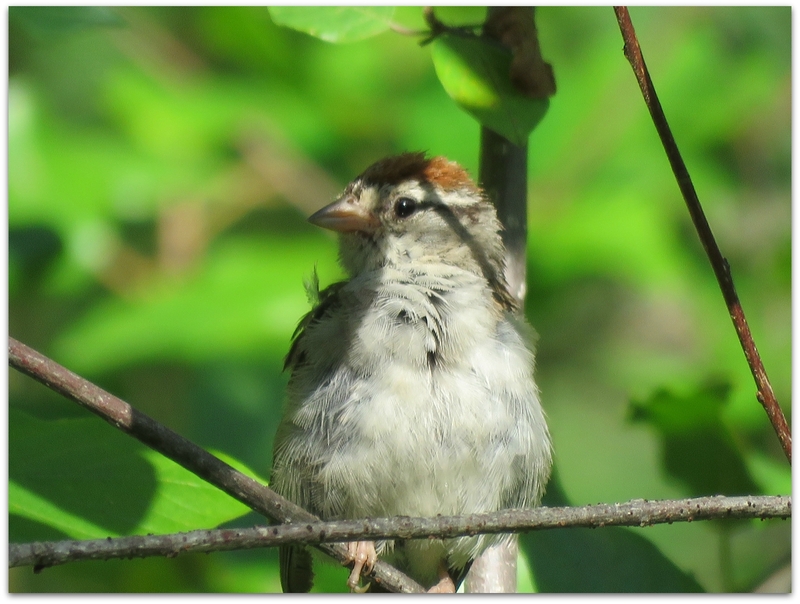 A crisp, pretty sparrow whose bright rufous cap both provides a splash of color and makes adults fairly easy to identify. 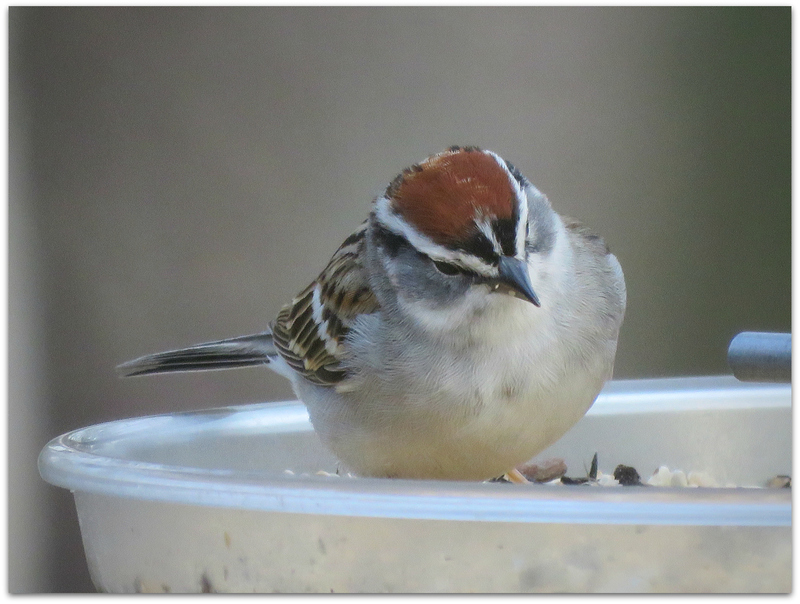 Chipping sparrows are warm season birds here. 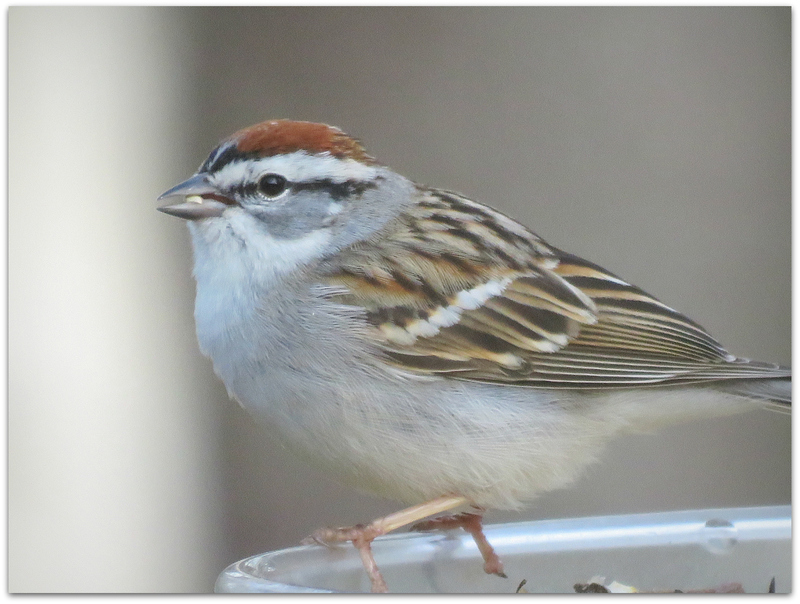 Welcome, little harbinger of spring! 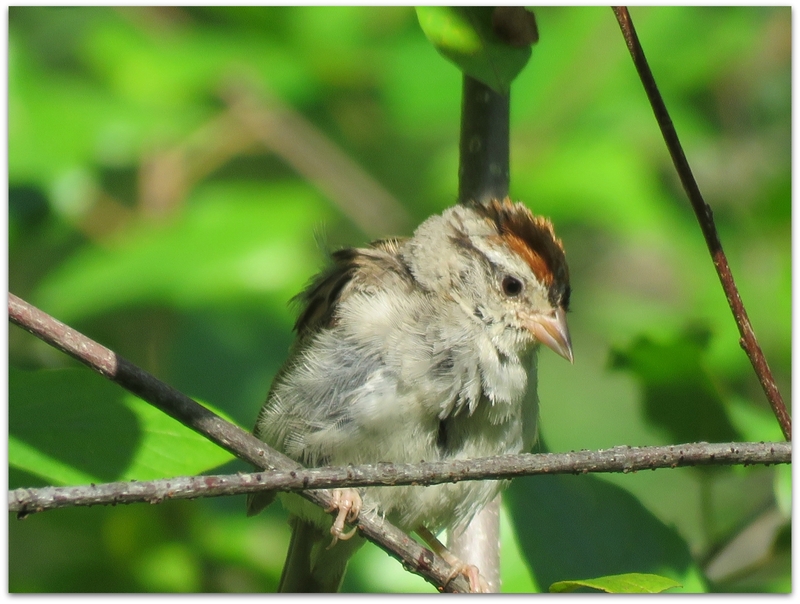 This entry was posted in Uncategorized and tagged Chipping Sparrow on April 22, 2015 by Amy. 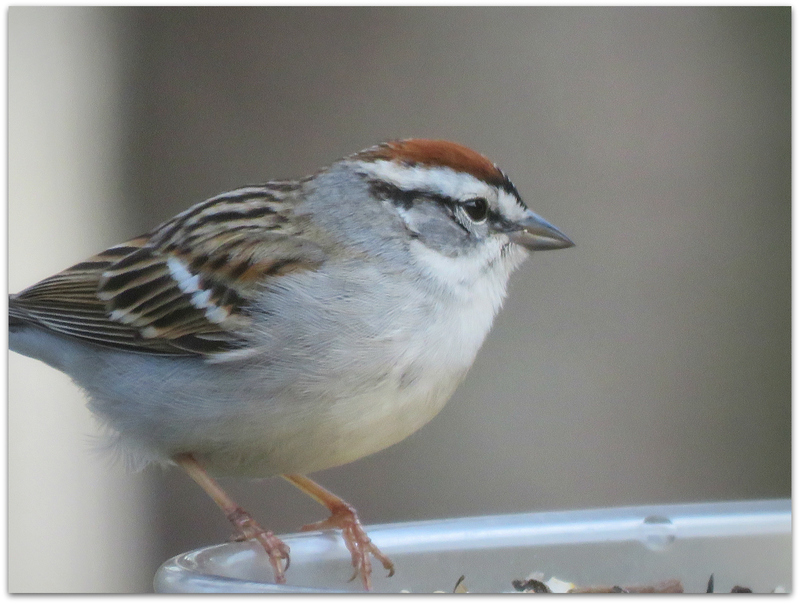 I’m not very good with sparrows, but I’m pretty sure this is a Chipping Sparrow. 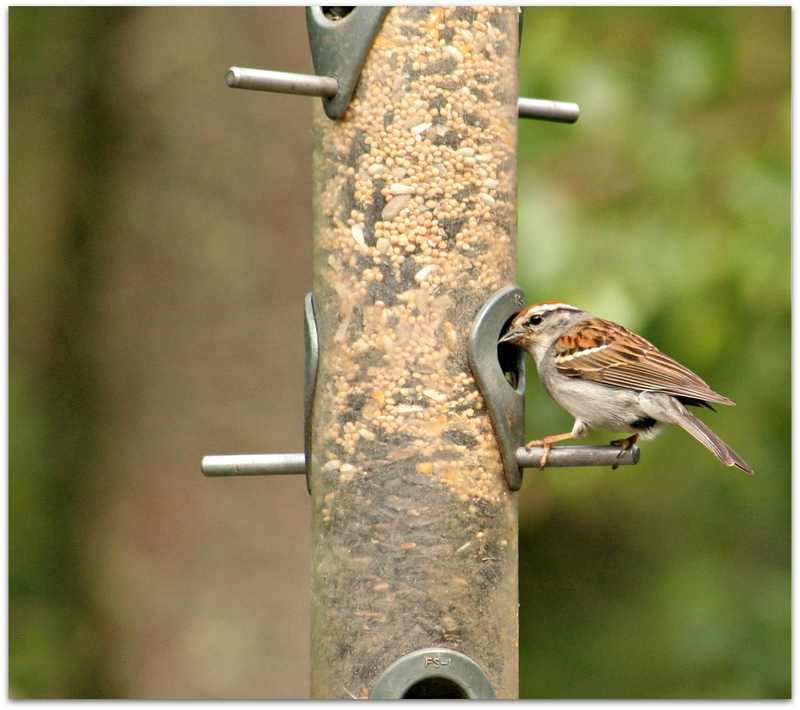 It’s nibbling some Agway blended bird seed from a tube feeder. 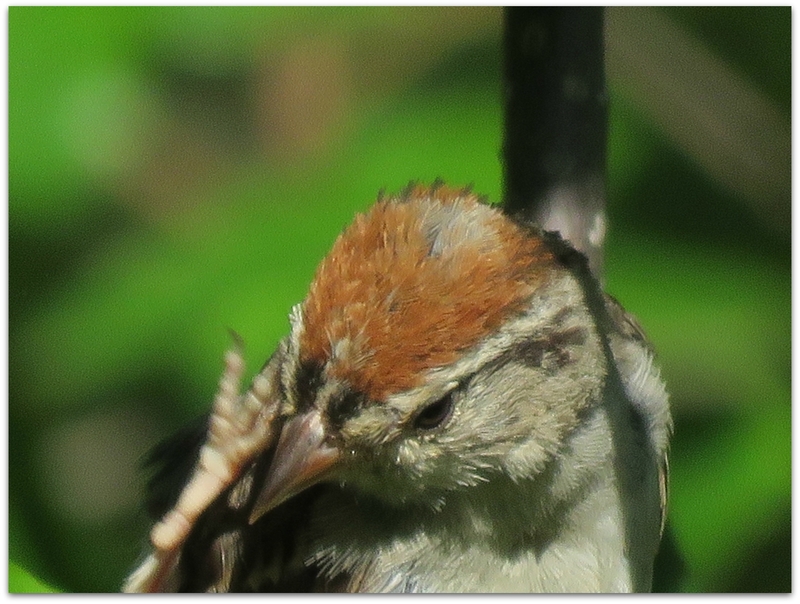 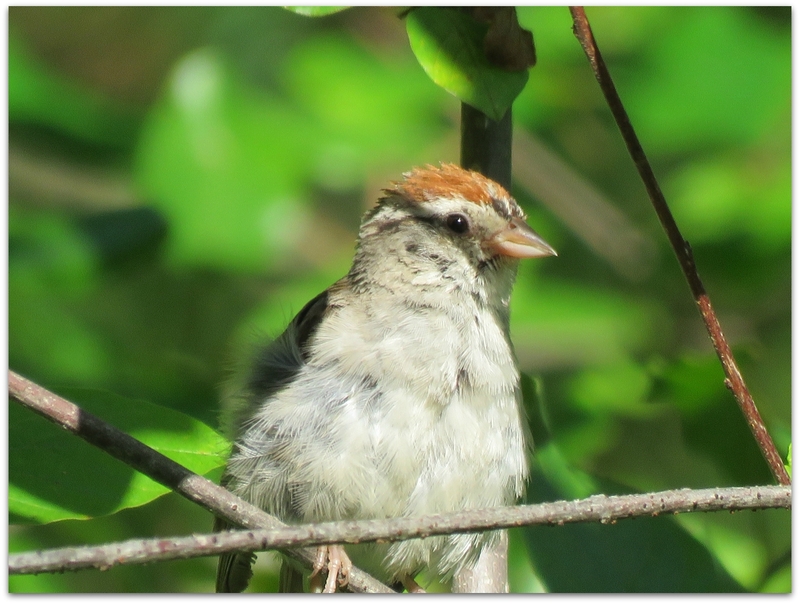 This entry was posted in Uncategorized and tagged backyard birds, Chipping Sparrow on June 30, 2014 by Amy.